Wherever you are on your financial journey, First National 1870 has a Visa® rewards credit card that’s right for you. With Classic, Gold, and Platinum card options available, you'll have funds in place when you need them. Use your card for major purchases or everyday bills and watch your rewards grow. Our low interest rate cards can really pay off when carrying a balance or transferring balances to consolidate credit. We work with you, whether you’re establishing credit with your first card, or building on a proven financial track record. 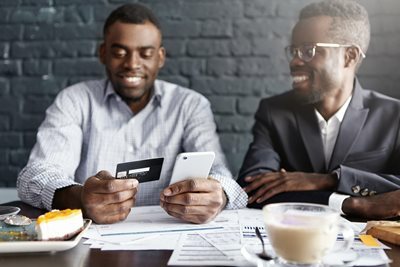 When you consider the big and small purchases you make over time, the savings of a low interest credit card really add up. All of the First National 1870 credit cards – Classic, Gold, and Platinum – allow you to earn reward bonus points and stockpile them. Every net retail purchase you charge gets you closer to redeeming points for brand-name merchandise and exciting travel rewards. Take a look and browse through the available rewards at ScoreCard Rewards online. Ready to apply for your card? Stop by any First National 1870 location today, or call Customer Care at 888.827.5564 to get started. 1,2,3For additional information about Annual Percentage Rates (APR), fees and other costs, please click here to review the Terms and Conditions for each credit card.